Don't most babies and toddlers like to dance? I know that Isabella and her little friends have always loved dancing whenever there is a song on, whether that be on an advert, radio, tv programme or simply sung (out of tune if you're anything like me) by a willing adult. There just seems to be an inbuilt desire to boogie away at any opportunity. They're having fun and Isabella's dancing often has me crying with laughter...it's too cute! 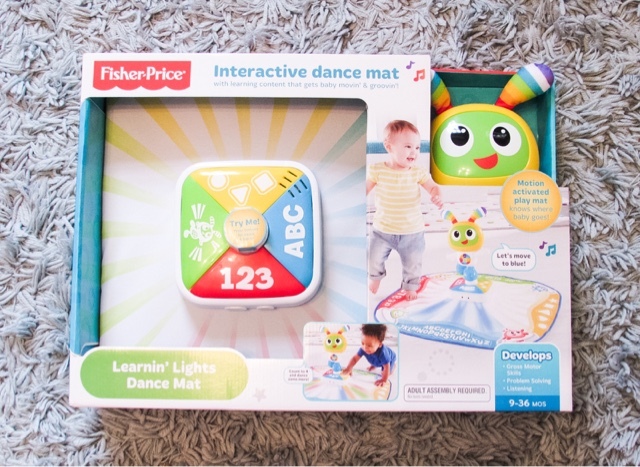 Fisher-Price have bought out the ideal toy for dancing babies and toddlers, the Bright Beats Learnin' Lights Dance Mat* (£37.99 from Smyths Toys). 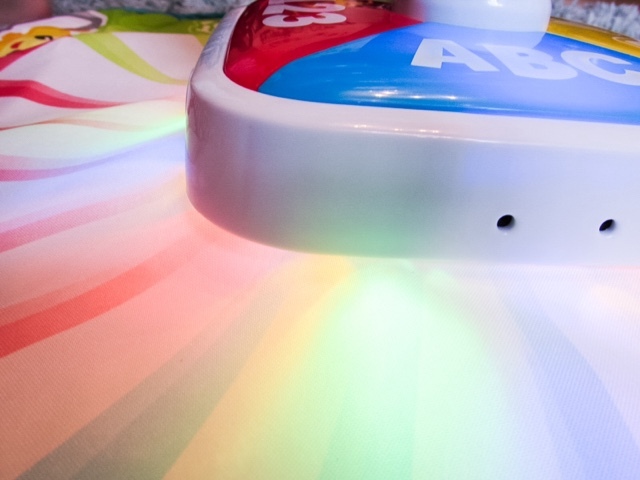 Babies/toddlers can move, groove and learn with this new interactive dance mat featuring innovative motion sensors. 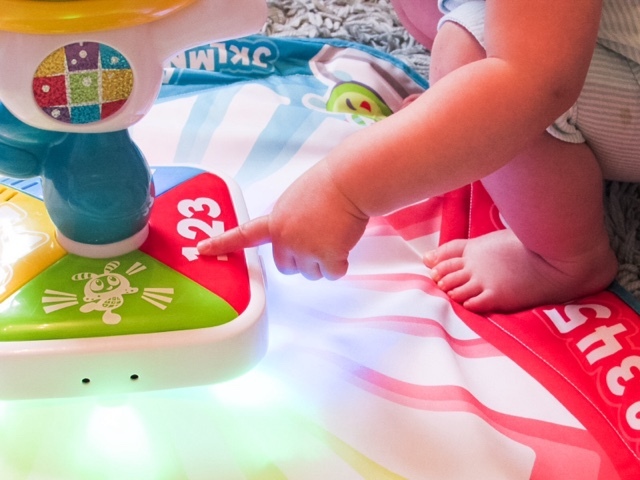 As little ones move around the mat they’re rewarded with colourful lights, fun sounds, music and phrases. 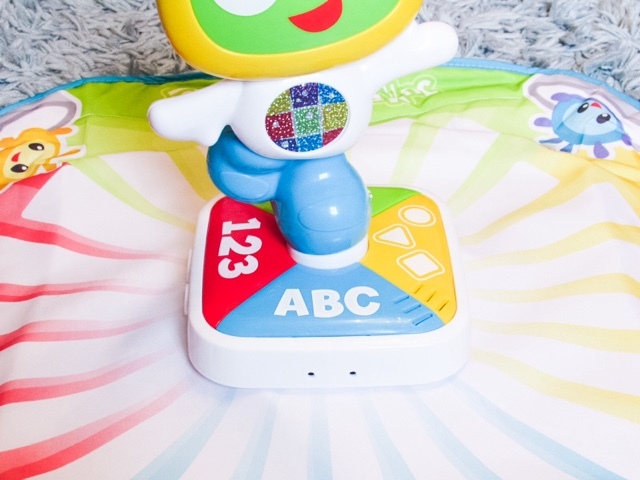 The dance mat has educational aspects that grow with your baby, such as teaching the ABCs, numbers, colours, shapes and dance moves to help get gross motor skills and rolling. 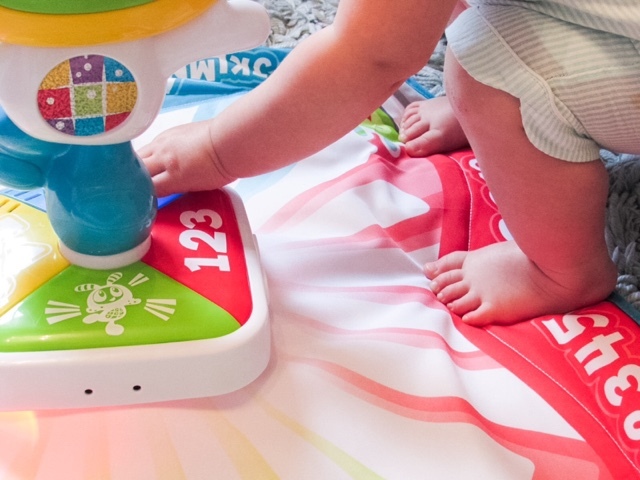 We have this dance mat in the playroom and every single time we go in there it is the first toy Isabella goes up to and asks to be turned on. She has absolutely loved dancing around it, holding on to the character's ears and pressing the buttons on the interactive base. The flashing colourful lights add a fun disco edge, we've can be found having 'before bed raves' most evenings (follow me on Instagram to videos of Isabella's dance moves). I would say that the mat is quite small, which means that a lot of the dancing is actually done off the mat. 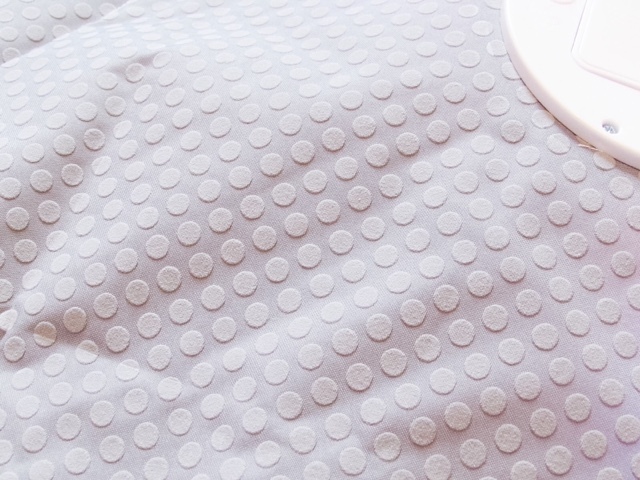 For a sitting baby it would be perfect size because they can interact with the fun character in the middle, press the buttons and see the flashing lights all from one position. Also, the positive of it being on the smaller side is that it does take up less floor space. Can you do the #BeatBoBoogie? 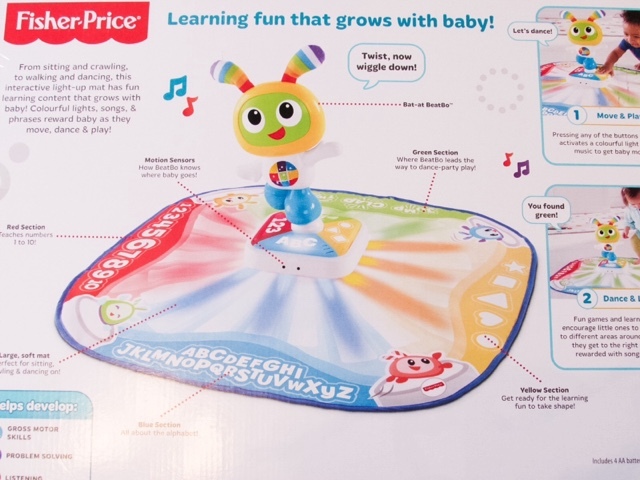 Fisher-Price has teamed up with professional dancer and celebrity mum Kimberly Wyatt to celebrate music & dance and encourage active play. 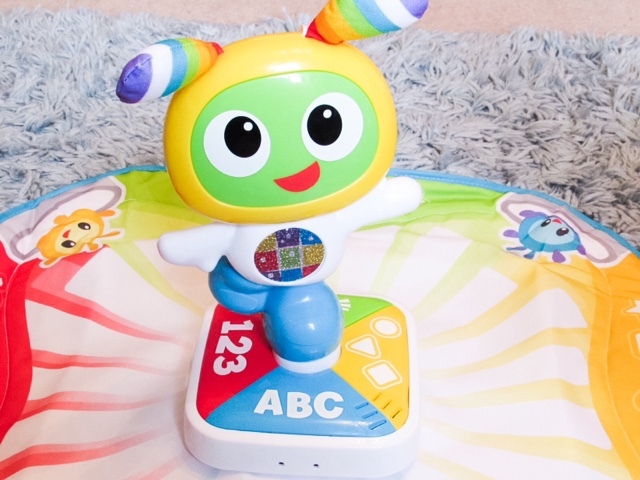 Celebrating the launch of exciting new products in the popular Bright Beats™ line, the Bright Beats™ Learnin’ Lights Dance Mat, BeatBelle™ and BeatBowWow™, Fisher-Price will be calling parents to showcase their little ones best dance moves in their very own #BeatBoBoogie! Kimberly and her 18 month old daughter Willow will be championing the #BeatBoBoogie by showing off their moves and encouraging parents and their little ones to get involved in active playtime. This helps children develop important social and physical skills, while having fun. If you fancy getting involved you can share your photos, videos and comments on the Fisher-Price Facebook page www.Facebook.com/Fisher-Price to be in with a chance of winning fantastic Fisher-Price prizes for the best #BeatBoBoogies. Does your little one enjoy dancing? Aww! That looks like a lot of fun for little one's.